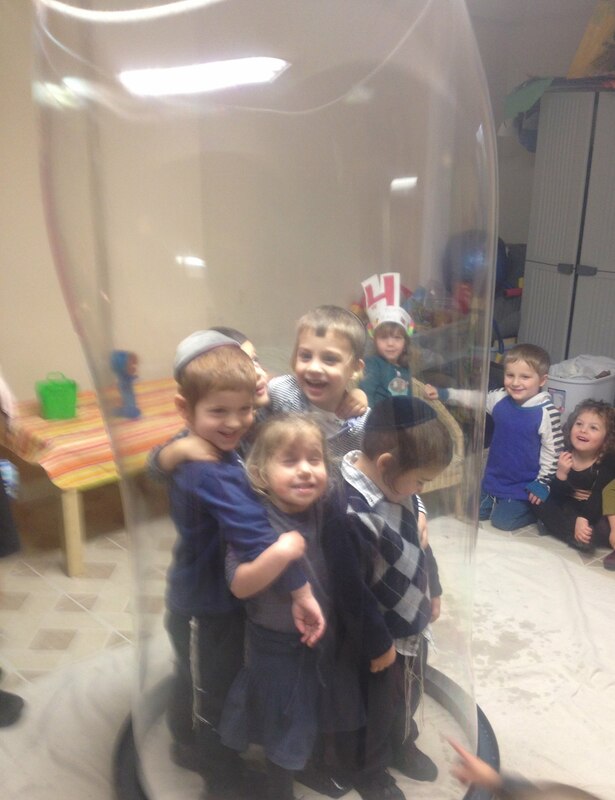 5 children in a bubble!! o What is a bubble show? An entertaining, educational and interactive show that teaches children how to produce all kinds of interesting bubbles by themselves!!! 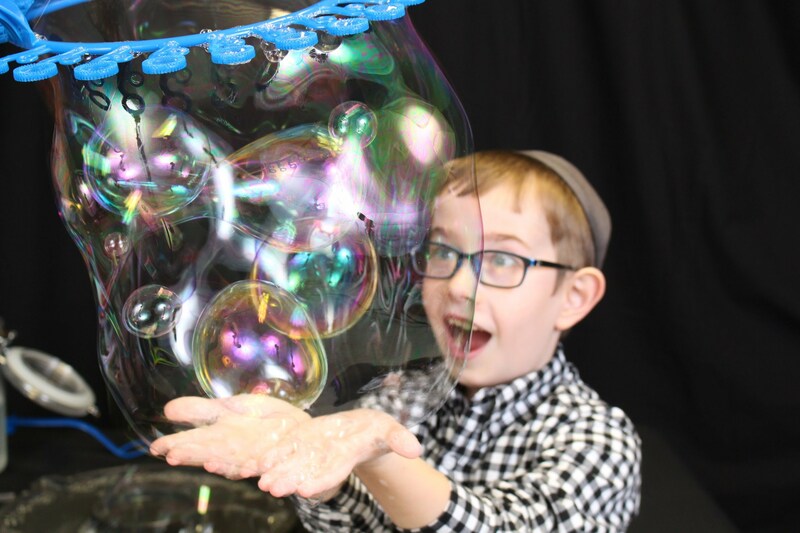 The science of bubbles is explained at an age appropriate level. 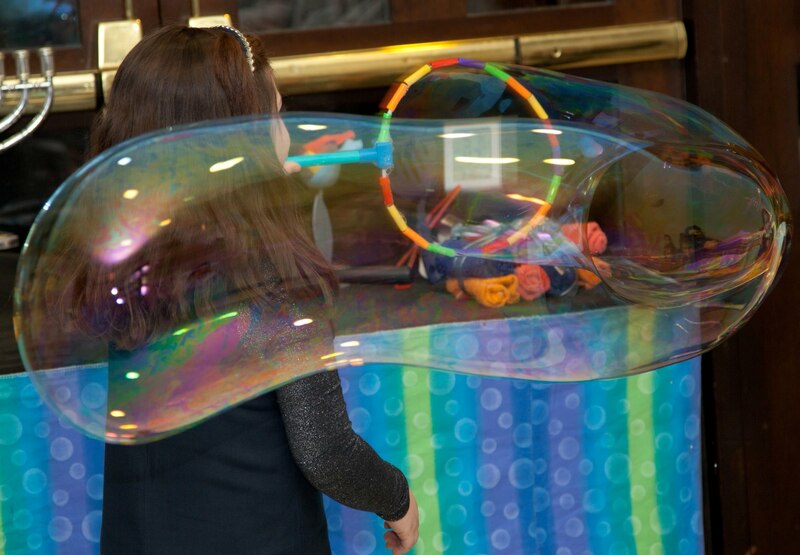 The children will learn all the why’s and how’s about bubbles in a fun-filled way. o Who is the show geared to? Each show is catered to the ages of the children in attendance. It is recommended for children ages 3-11, however toddlers and adults love it too! Yes, very often. Mostly within the New Jersey/New York area. However, occasionally to Pennsylvania and further locations, including Niagara Falls as well. Some restrictions may apply. o Where do you perform the show? o How long have you been performing? o Do you have a good “bubble juice” recipe? Yes, it can be given to you (as well as some bubble activity suggestions) after the show. o What is the best weather for maximum bubble fun? Early morning or just before it rains is perfect. The more hot, humid and damp the weather, the better. BOOK A SHOW/ CONTACT US! Ready to book a show? Questions? References? Want to check availability dates? 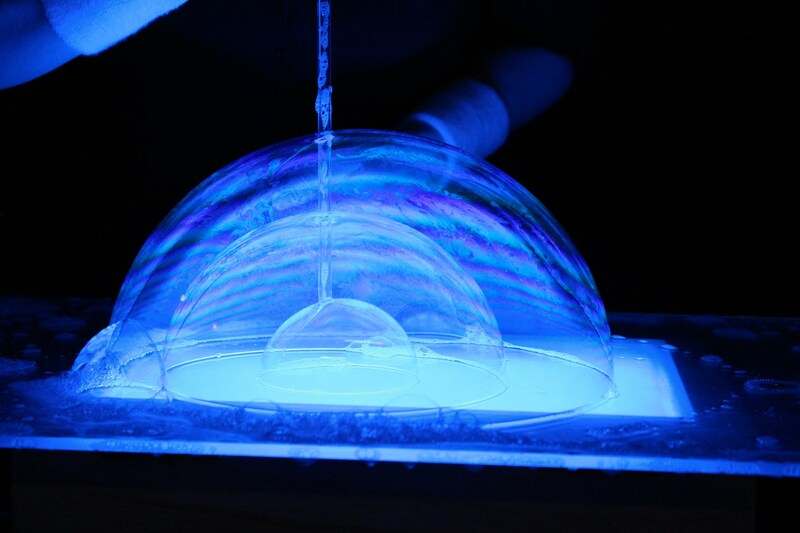 v The Amazing Bubble Show is such a beautiful and entertaining program! Each year something new is added to enhance the show! Highly recommended! 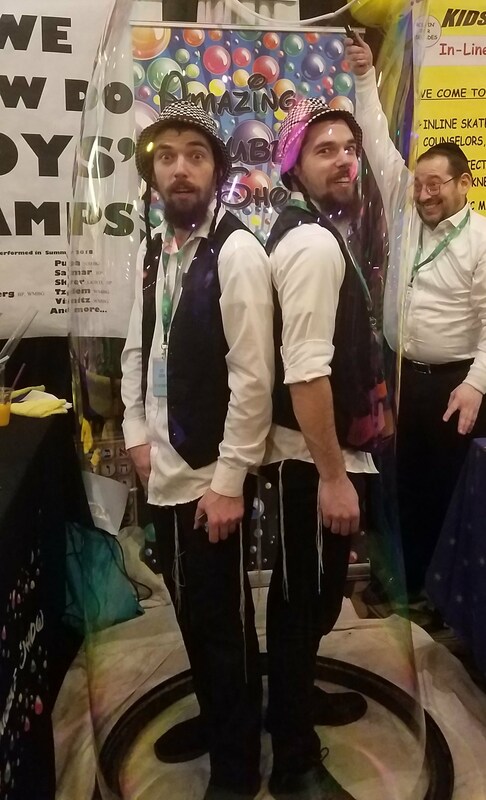 v Thank you Amazing Bubble Show for once again returning to our camp to perform your fantastic shows! You involve all the children and hold their attention from beginning to end! 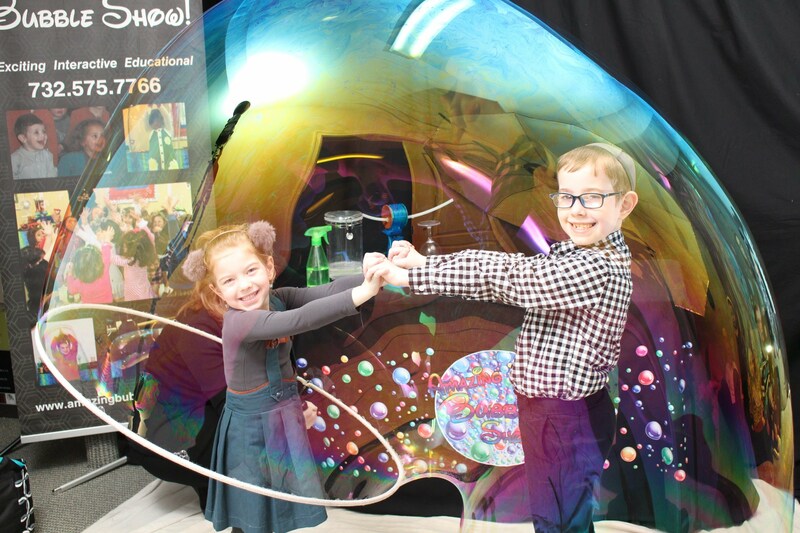 v The Amazing Bubble Show captured the children's attention and was fun and educational at the same time! v You were amazing! You kept our 3-5 year old children engaged and involved! They were mesmerized by your show and were so excited to tell their parents about the special activity! 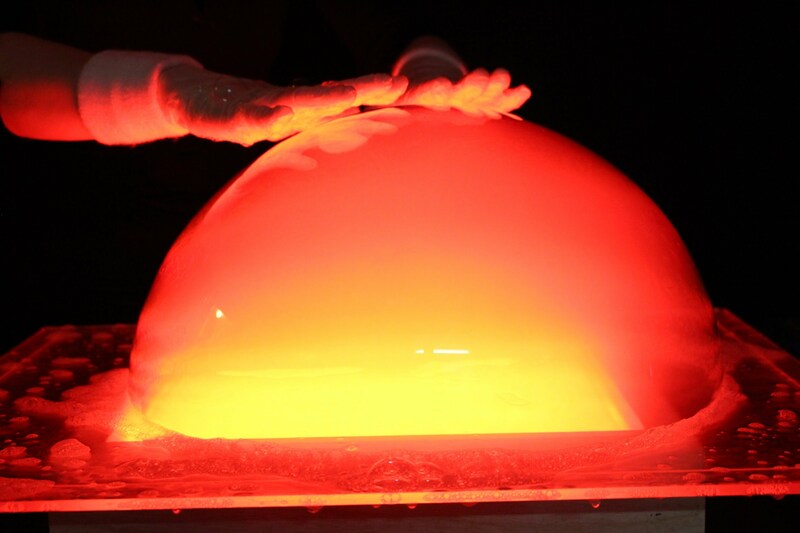 v Fascinating, thrilling and exciting bubble show that we look forward to every year! v The children are drawn to your warm and fun personality! Your years of experience with the special needs children create a superb, interactive show that involves all our children! We've enjoyed your shows in Lakewood, Deal and Brooklyn and we look forward to seeing you again very soon!